Quality for little money? 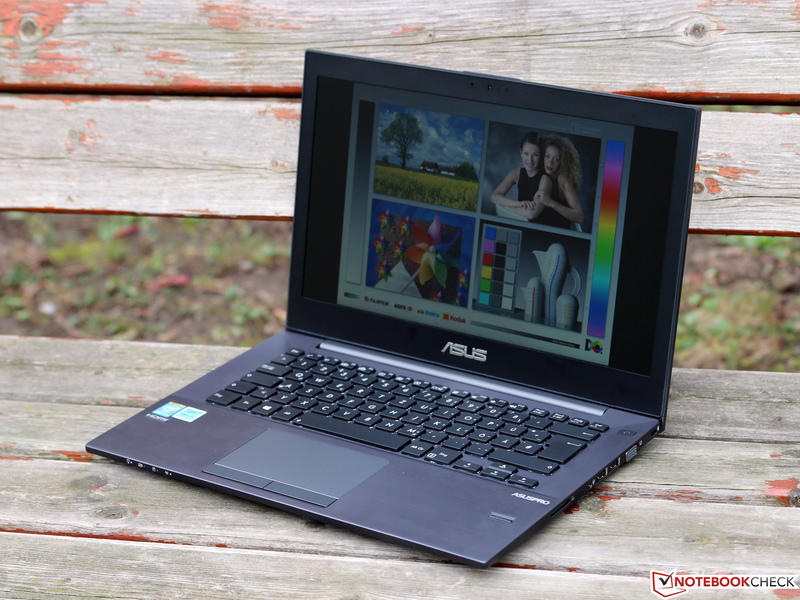 Asus wants to put the competition under pressure with affordable business laptops and equips its new 14-inch flagship with the currently fastest ULV processor, plenty of working memory, and a swift SSD to accomplish that. We will reveal why it is nevertheless not enough for first place in the category. 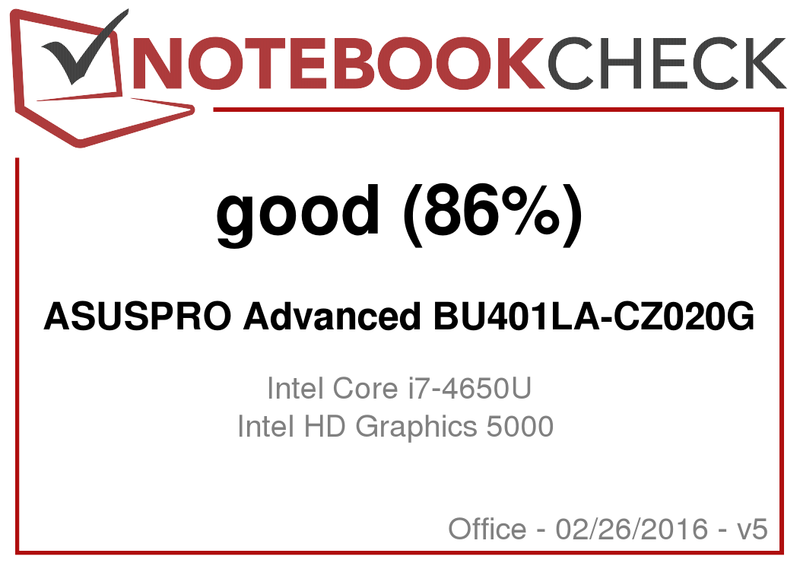 A few weeks ago, the AsusPro Advanced BU201LA carved out an admirable top ten placing in our subnotebook charts with an overall decent performance - a more than impressive outcome especially since Asus very rarely caught attention with premium business laptops in the past. This now seems to be changing. 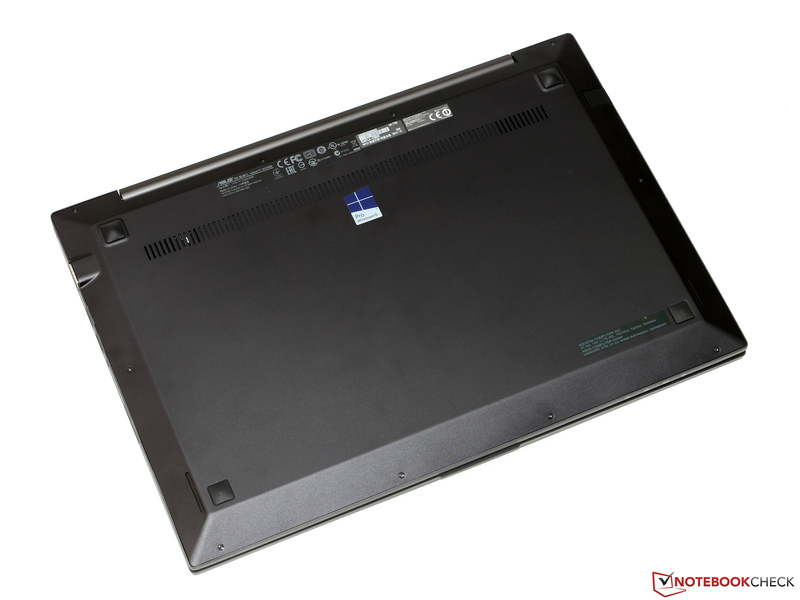 The manufacturer recently provided a new model in the classic 14-inch sector dubbed AsusPro Advanced BU401LA that is to also convince with the highest quality for a comparatively low price. The term "affordable" is relative here: the entry-level configuration with a Core i5 CPU, 8 GB of RAM, and a 256 GB SSD costs a good 1000 Euros (~$1176). 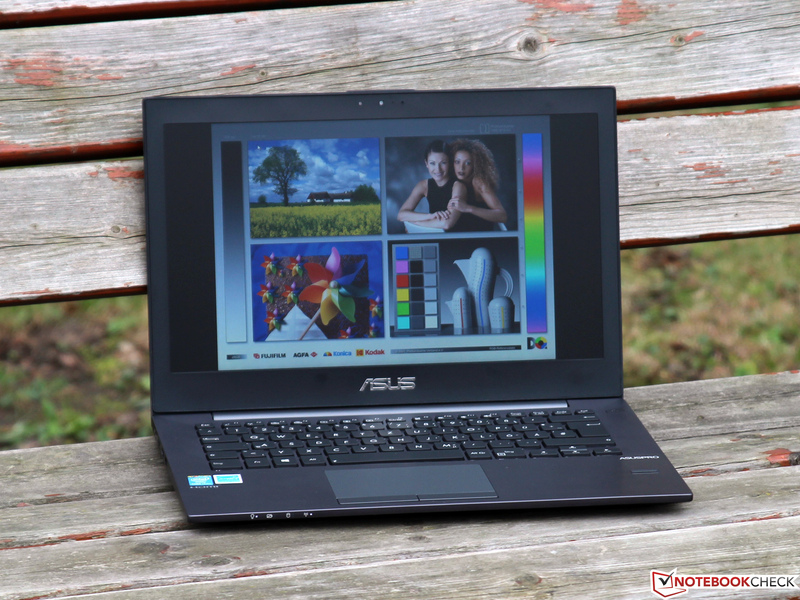 Our premium-line model with a Core i7-4650U adds up to almost 1150 Euros (~$1353). 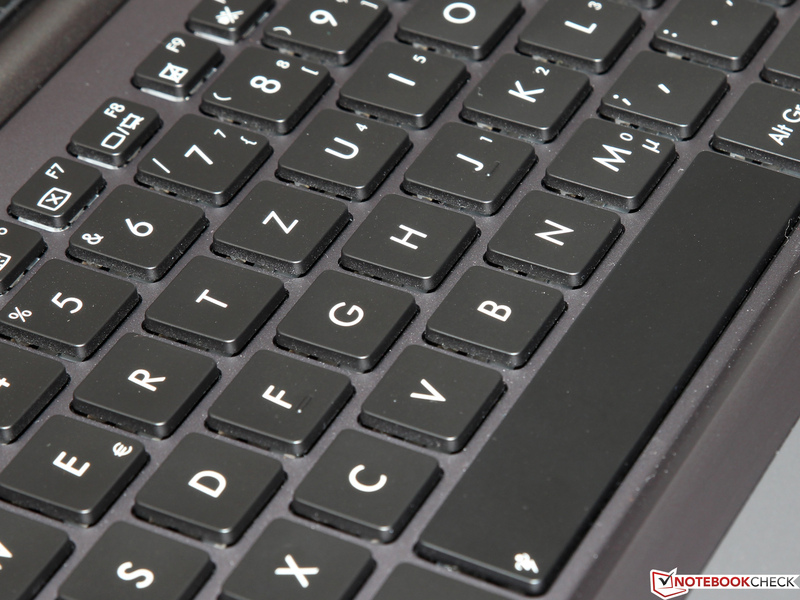 Compared with Toshiba's Tecra Z40 or Lenovo's ThinkPad T440, the BU401LA in fact seems quite cheap and is thus more aimed at the business mid-range where models like the ThinkPad L440, HP EliteBook 745 G2, or Dell Latitude E5450 are found. 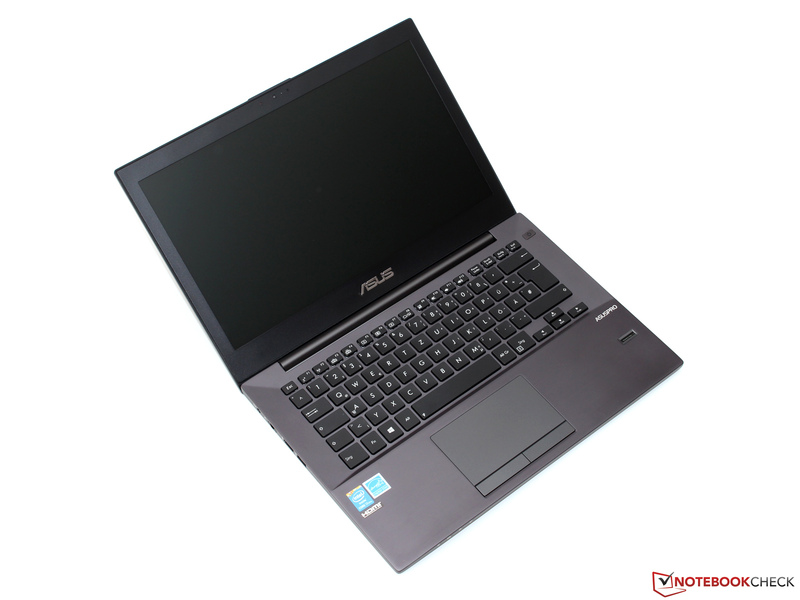 The AsusPro Advanced BU401LA does not even try to hide its relationship with the BU201LA and uses the same serious, businesslike design as its smaller sister model. Easy-to-clean, matte-gray surfaces and angular shapes characterize the looks - so, the typical office dress-code. The weight of just 1.67 kilograms is amazingly low for a 14-inch device. 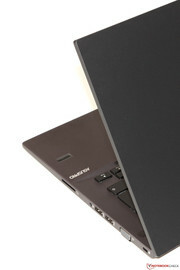 Alongside the slim dimensions - it has a height of only 19.8 millimeters - excellent mobility is ensured. 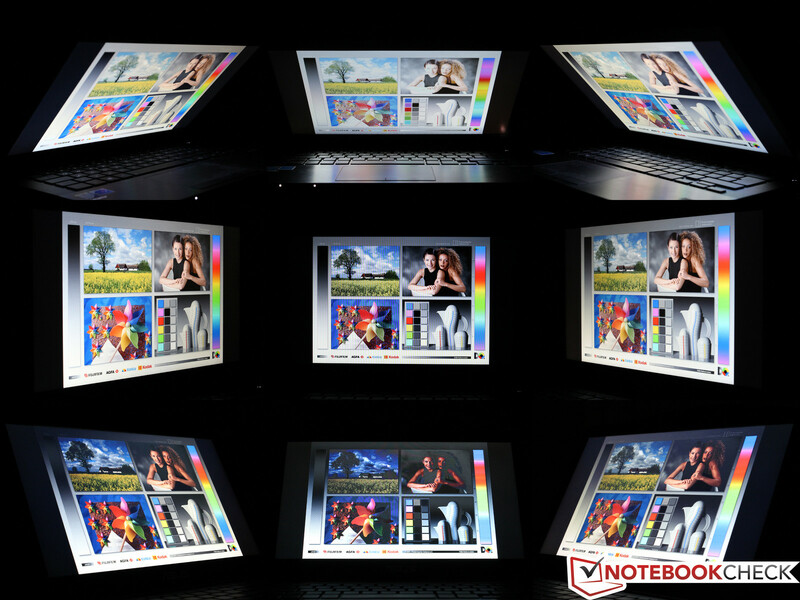 For comparison: even the compact Latitude 14 E5450 weighs almost two kilograms and is roughly three millimeters higher. The casing's feel and rigidness does not give much reason for complaint although it is comprised of a mixture of aluminum and plastic. The chassis did not warp anywhere even under high force no matter where we tugged and pressed it. The stiff screen proved just as exemplary owing to the carbon-fiber reinforcement. 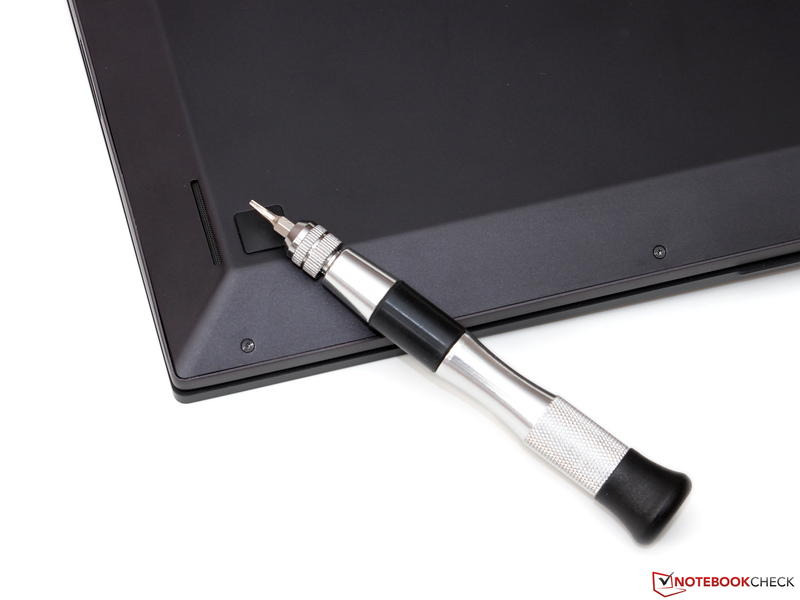 A solid metal hinge keeps the screen in position and reduces any rocking of the lid to a minimum. Yet, the device can be opened with one hand. Asus has once again delivered a virtually impeccable product in terms of build, and thus it even outshines some more expensive contenders. As always, we can only judge the review sample at hand - unfortunately, certain quality fluctuations cannot be excluded regardless of the manufacturer. 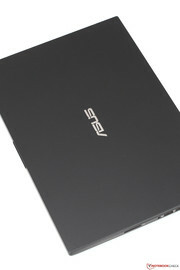 Asus has adopted the interfaces without modifications from the precursor. While the three USB 3.0 ports and the fast Gbit LAN socket still have to be mentioned positively, we miss a modern DisplayPort-out for especially high-res screens. 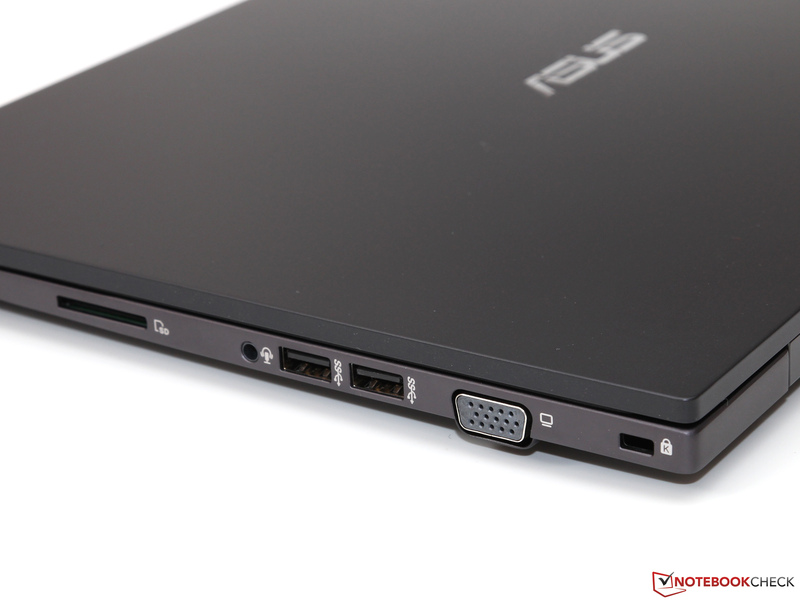 Even the BU201LA has one, but the user will have to be satisfied with HDMI and VGA in the BU401LA. All interfaces, including an SD-card reader and headset jack, are distributed on the casing's sides. Connected cables and USB flash drives will not disturb the user much since they are positioned far back on the casing. 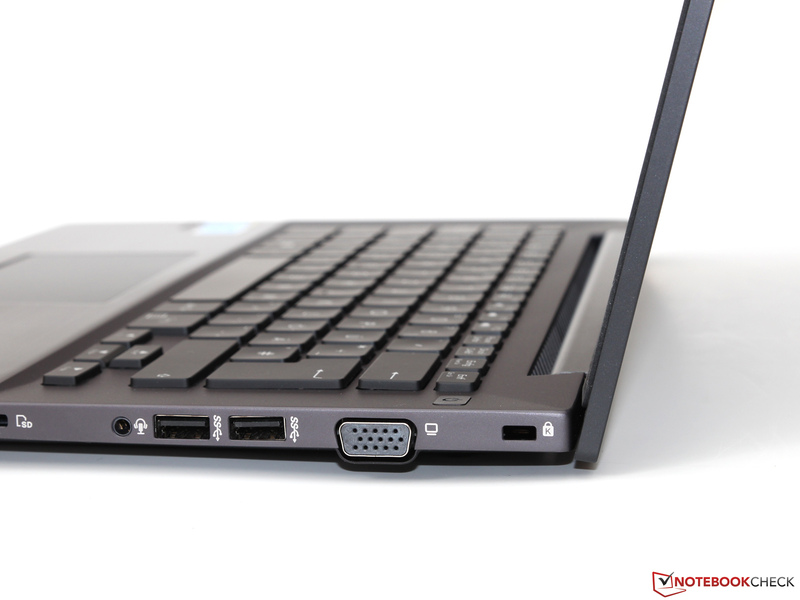 However, rear-sided ports would be even more convenient for desktop use - this plus point goes to the Latitude E5450. The Wi-Fi module from Intel dubbed Wireless-N 7260 supports both Bluetooth 4.0 and Wi-Fi in the 802.11 a/b/g/n standards, but not the high-speed 802.11 ac standard. Consequently, the gross data rate is limited to a maximum of 300 Mbps in the 2.4 or 5 GHz bands - providing that the involved router is also dual-stream capable. The connection convinced with impeccable stability and a decent though not above-average range in the test. The manufacturer, unfortunately, does not make retrofitting a WWAN module possible. The BU401LA sports an integrated 1.0 megapixel camera and a corresponding array microphone for audio and video conferences. While we can only attest a very moderate quality, especially in low-light situations, for the webcam, the low-noise microphone frequently made an additional headset superfluous. 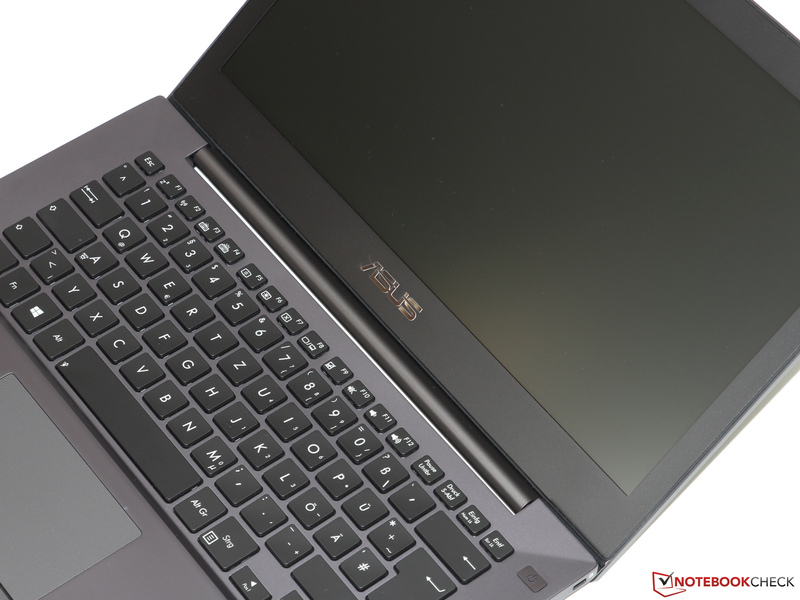 Asus stresses the professional orientation of its BU401LA with a vast selection of different management and security features. 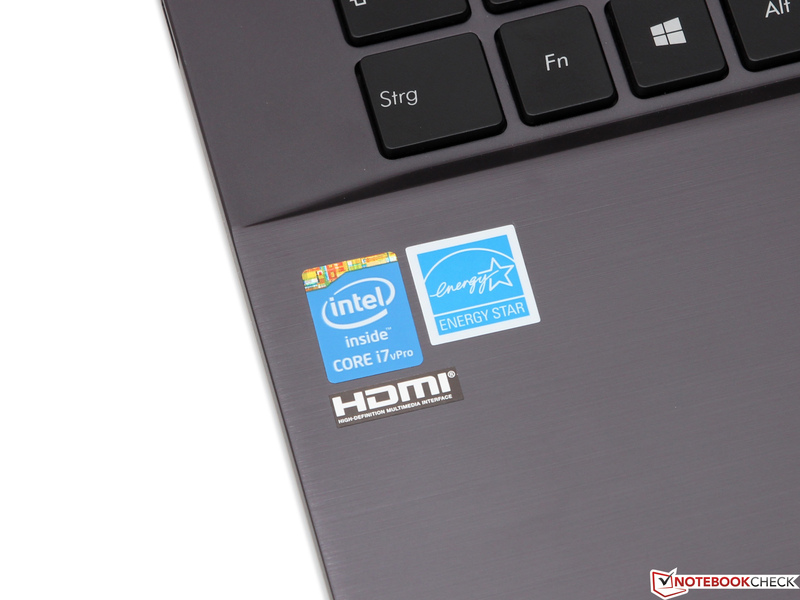 The laptop not only sports the usual extras, such as a Kensington lock or fingerprint reader, it can also boast with a TPM and support for Intel's Small Business Advantage Package, as well as Anti-Theft and Computrace. We summarized just what these technologies are in our FAQ article. 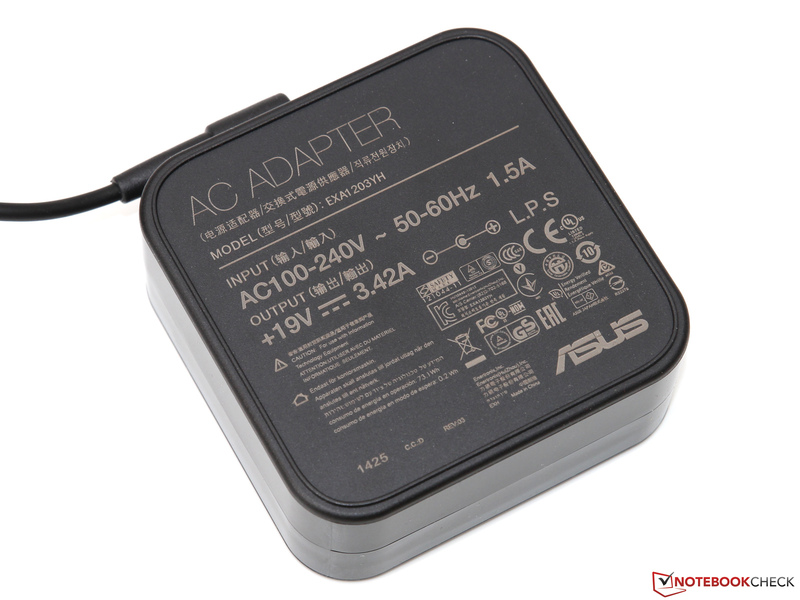 Like many other manufacturers, Asus is also stingy with accessories though that does not have to inevitably be seen as a point of criticism. Most users will not need more than the included power supply, various Windows and driver DVDs (Windows 7 Professional + Windows 8 Pro, both 64-bit version), and a few brochures. Our review sample is also very clean in terms of software and is shipped without annoying toolbars and trial versions. The preloaded Windows 7 operating system only features some mostly quite useful tools that help the user, for example, creating backups or managing wireless networks. Some Torx screws on the underside have to be removed before the inner hardware can be accessed. After that, the entire base plate can be lifted off with a bit of effort. 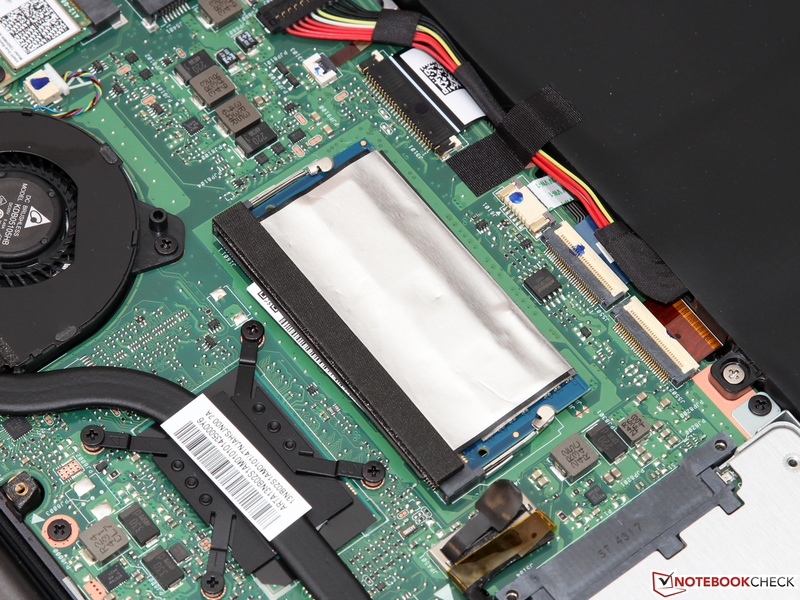 Besides the screw-fastened battery, it is possible to replace the hard drive (2.5-inches, 7 millimeters height), working memory (one DIMM slot, filled), or Wi-Fi module in a few steps. Handy: an empty mSATA slot allows retrofitting a second SSD or parallel operation of SSD and HDD in case the 2.5-inch slot is equipped with a conventional hard drive. Unlike Lenovo's ThinkPad L440 or Dell's Latitude E5450, where the manufacturers only include a 12-month factory warranty, the price of the AsusPro BU401LA contains a 24-month pickup & return service. An upgrade to a total of three years for an extra 140 Euros (~$164) is not exactly cheap but involves an on-site service for the next business day. 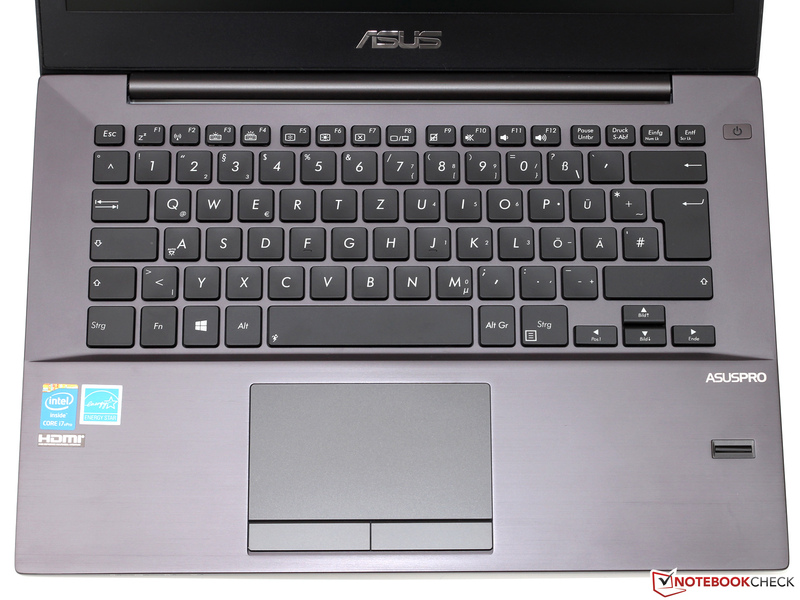 Pretty much like Lenovo, Asus uses the same keyboard in multiple model lines. 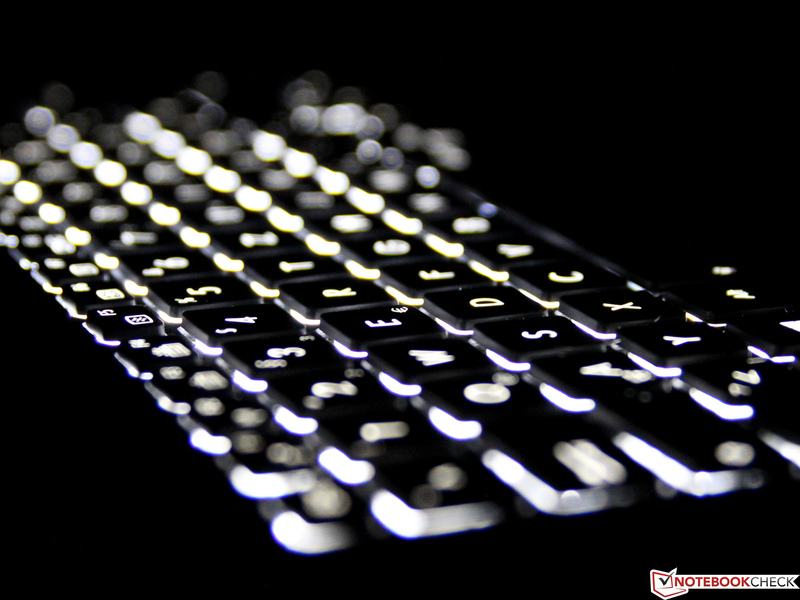 In this case, we know the backlit, chiclet keyboard from the BU201LA. Only the casing's lateral bezel is a bit narrower. From a quality point of view, we can only repeat the almost exuberant praise of the former test: generous drop, crisp stroke, outstanding typing feel - the AsusPro line most certainly does not have to hide from an EliteBook or ThinkPad in this respect. Some users might at most find the rather prominent, mechanical clattering noise of the 15 x 15 millimeter keys less appealing. However, we find the matching acoustic accompaniment of our haptic impression in it. 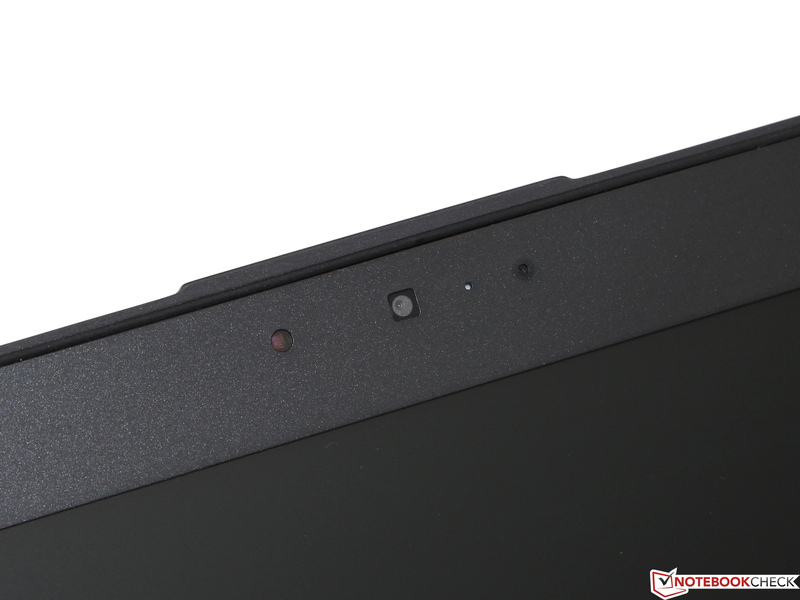 It is too bad that Asus has axed the TrackPoint of the 12-inch model in the BU401LA. 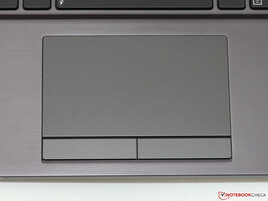 However, the touchpad has grown to 10.6 x 6.1 centimeters. As usual, the input device supports various multi-touch gestures with two or three fingers, as well as additional features like palm recognition or automatic deactivation when an external mouse is connected. The gliding properties of the very sleek, glass-like surface are impeccable. Only moist hands might lead to a slight lag. 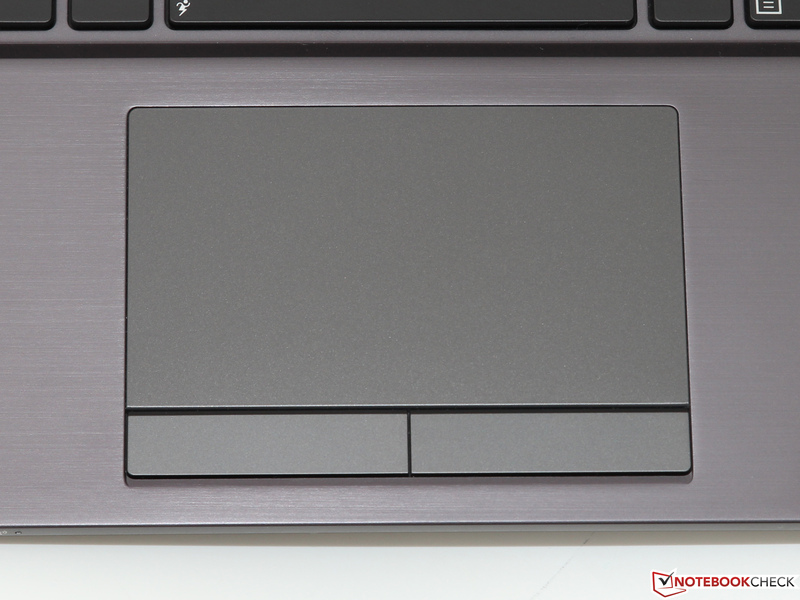 Instead of integrated mouse buttons (ClickPad design), the laptop has two dedicated keys, which is very welcome from an ergonomic point of view. Even complicated drag'n'drop actions are performed quickly and accurately owing to the clearly defined, medium stroke. We do not really understand why Asus only equips the BU201LA with a Full HD screen, in contrast to the larger BU401LA that has to be satisfied with the HD+ resolution of 1600x900 pixels. That puts the review sample somewhere in the midfield in the category comparison. EliteBook 745 G2 and ThinkPad L440 buyers can opt for either WXGA (1366x768 pixels) or HD+; the Latitude E5450 is offered with either WXGA or Full HD. The resolution and screen diagonal leads to a pixel density of 131 dpi, which ensures a sufficiently sharp reproduction from a normal viewing distance. However, more desktop space never hurts particularly in an office laptop, and we would not at all mind if the manufacturer would improve this in a potential successor. 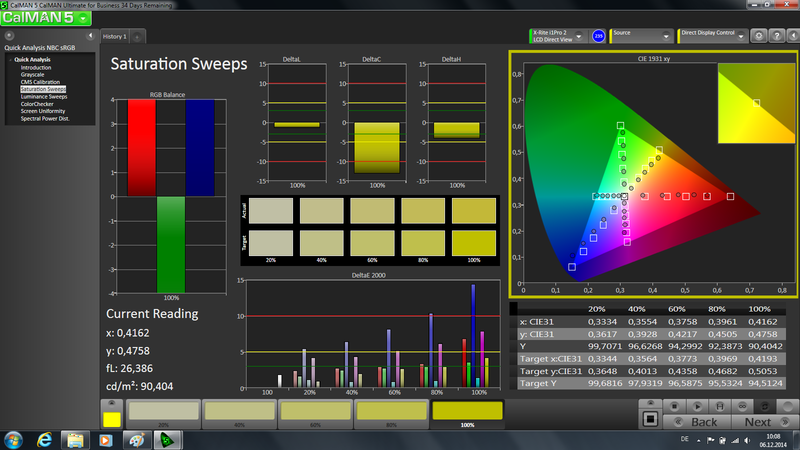 We see a much greater need for improvement in the screen's brightness. 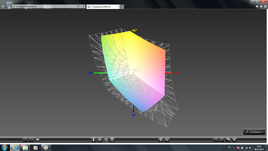 A maximum of 209 cd/m² is definitely too little for a mobile work device. It is easily surpassed by the ThinkPad L440 (HD+ model: 233 cd/m²) and Latitude 14 (Full HD model: 271 cd/m²). Additionally, the brightness control of our review sample was defective, and we could not set any intermediate rates between minimum and maximum brightness. 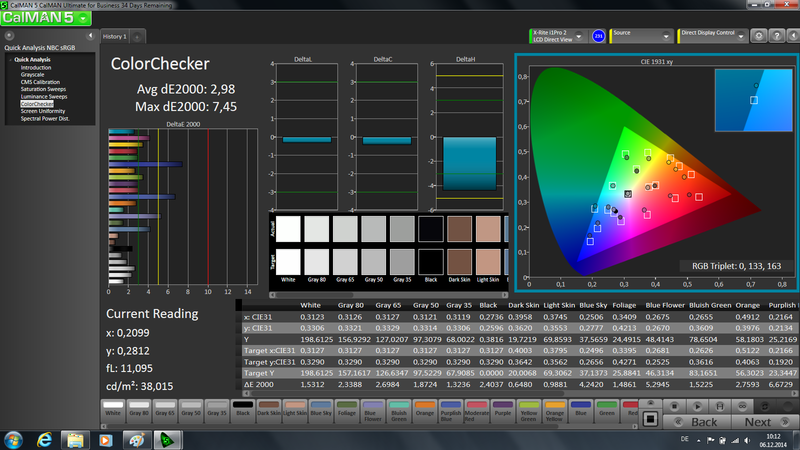 Considering it is a TN screen, the model from the Taiwanese manufacturer AUO supplies a quite decent image quality. 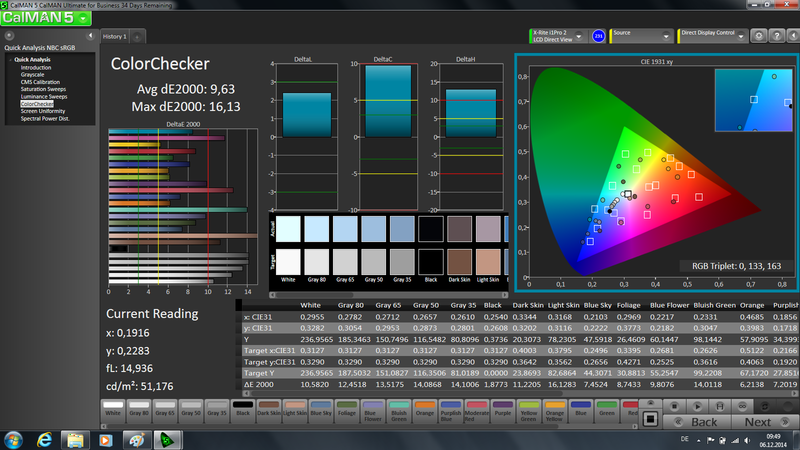 The black level (0.44 cd/m²) and contrast ratio (495:1) are roughly half as good as in a high-quality IPS model, as the comparison with Dell's contender proves (E5450 Full HD: 1007:1). The picture looks very appealing and vivid subjectively, and even multimedia applications like videos are enjoyable. The color and grayscale reproduction are not exactly the screen's specialty. In view of the two-digit DeltaE shift in some cases in state of delivery, a subsequent calibration seems highly recommendable - especially since it eliminates the visible bluish cast. Photographers and graphics editors should use an external screen because the very limited color space (sRGB coverage: 62.9%; AdobeRGB coverage: 44.8%) will not satisfy the needs of professional users from these fields. Since the screen's non-glare surfaces at least partly makes up for the far too low brightness, the laptop is basically suitable for outdoor use. Content can be recognized easily in cloudy conditions, but the BU401LA will hardly be able to defy direct sunlight. The almost twice as bright screen in the 12-inch model does a much better job here. Asus advertises the screen with the title "Wide View Angle," which made us a bit wary at first in view of the installed TN screen. However, there is no need for that. In fact, the reproduction only changes insignificantly over a wide viewing-angle range, which is otherwise only known from considerably more expensive IPS screen. The contrast ratio first decreases noticeably in very extreme deviations, in particular downward, and single colors are no longer displayed accurately. 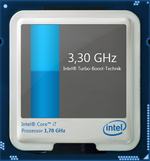 Intel's Core i7-4650U can be described as a close relative of the frequently tested Core i7-4600U. 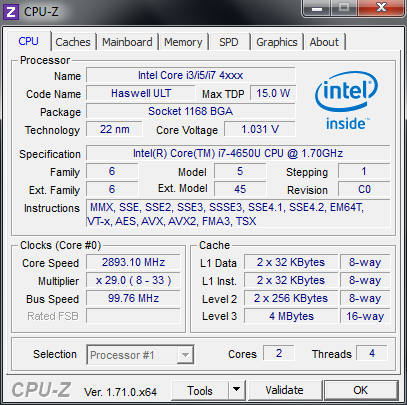 Its slower-clocked CPU part distinguishes it with a base speed of 1.7 GHz (4600U: 2.1 GHz). 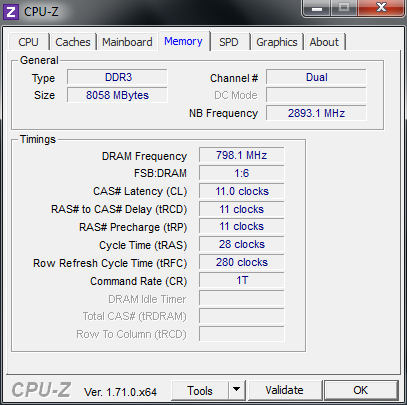 The maximum Turbo of 2.9 (2 cores) and 3.3 GHz (1 core) is just as identical as the specified TDP of 15 watts. As the name indicates, the dual-core processor built in the 22-nanometer process belongs to the fourth Core "Haswell" generation - the Broadwell-based successor is already waiting in the wings and is to be introduced in January 2015. 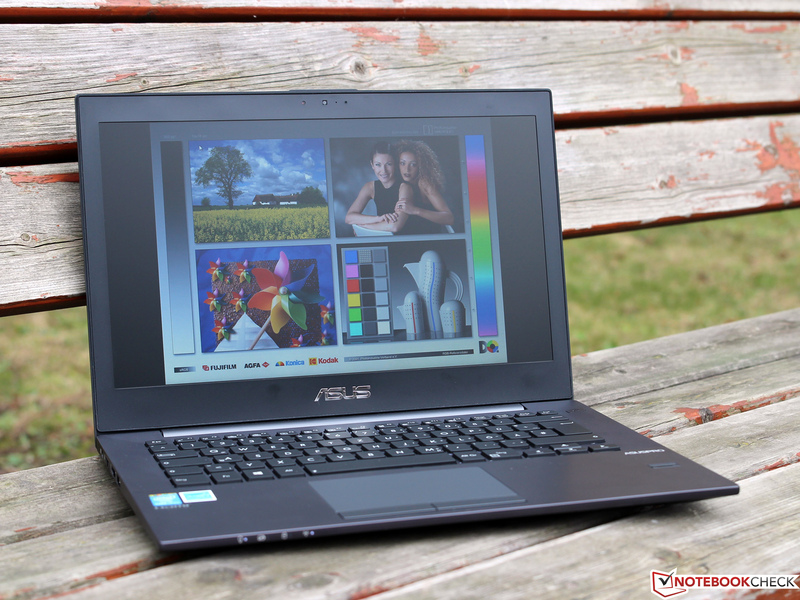 The actual highlight of the Core i7-4650U is its integrated graphics unit. 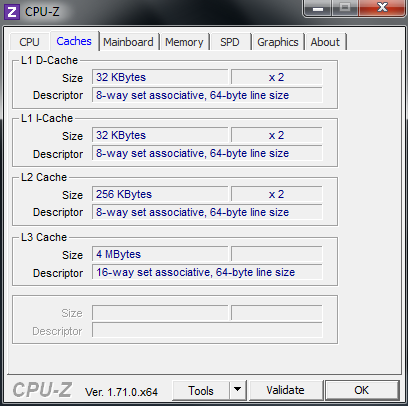 While the HD Graphics 4400 of most other ULV models only has 20 so-called Execution Units (EUs), the "50" at the end of the CPU's name discloses the stronger HD Graphics 5000 with an impressive 40 EUs. The GPU that clocks with up to 1100 MHz supports DirectX 11.1 and Intel's Quick Sync feature for faster video converting, among other things. 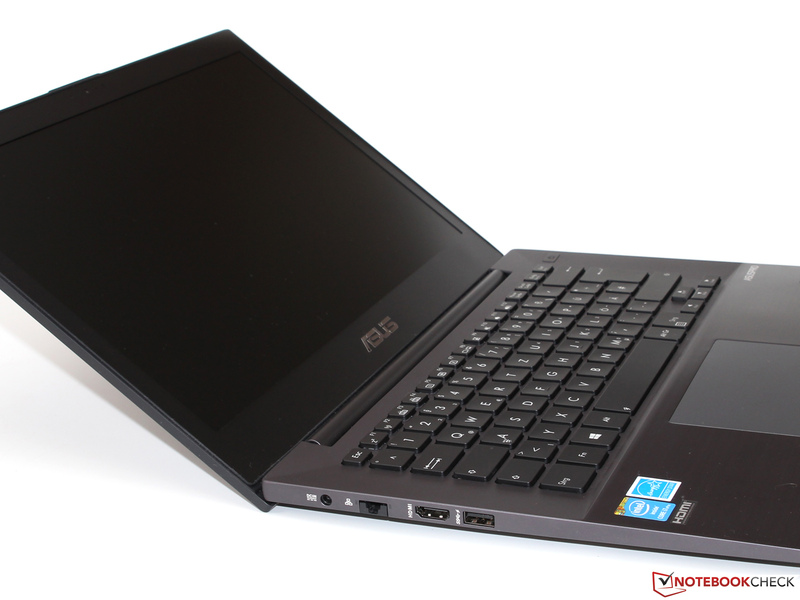 The laptop's memory is composed of 4 GB of RAM directly on the motherboard, and an additional 4 GB DDR3L-1600 module that is inserted into the device's sole DIMM slot. 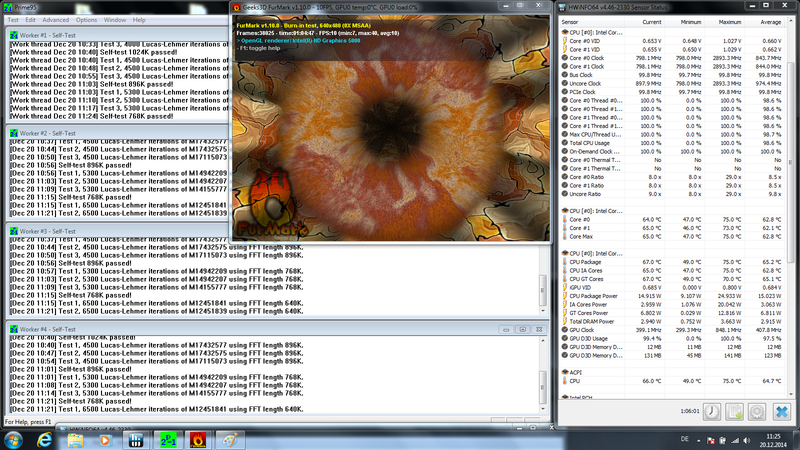 At least that allows the working memory to operate in the speedy dual-channel mode, though it is awkward to upgrade. All frequently used applications and user data are stored on a 256 GB SSD. The AsusPro is a bit at a loss compared with the ThinkPad L440 and Lifebook E544 due to its frugal 15-watt processor; its CPU performance in multi-threading in particular. The higher performance of 16% for the Core i5-4210M and 26% for the Core i5-4330M in Cinebench R11.5 is also set against a not insignificant TDP difference, seeing that Intel classifies these two models in the 37-watt category. It is considerably tighter when one core is loaded and the Core i7-4650U can keep up quite well owing to its strong Turbo Boost. HP's EliteBook 745 G2, powered by a quad-core APU from AMD, comes in last in this comparison. The BU401LA does not lose any of its power in battery mode and achieves an identical 2.9 points in the multi-core test. The single-core score of 1.41 points is also virtually the same - exemplary! As appropriate for the category, our review sample relies on a swift SSD with a generous storage capacity of 256 GB. To be more precise, it is a Lite-On LC-256M6S in a 2.5-inch format. It is likely a model based on the Marvel controller 88SS9174 combined with an MLC-NAND flash. The drive's excellent performance is beyond doubt. 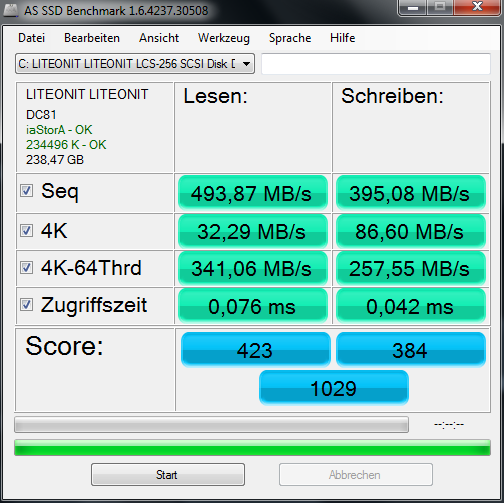 Almost 500 MB/s in sequential read and a write speed of approximately 400 MB/s are just as impressive as the outstanding results in the 4K tests. The LCS-256M6S can even stand up to a Samsung PM851, for example. 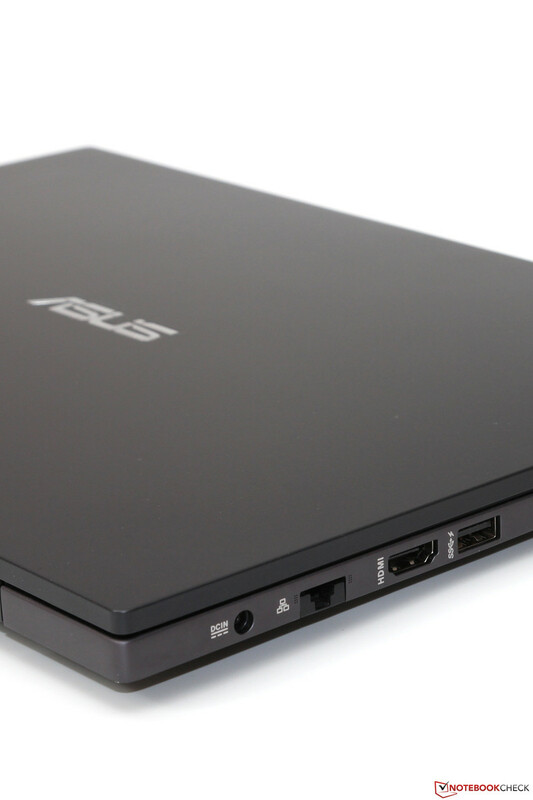 Our entire test field is close in the synthetic system performance benchmark PCMark 8, which is to give a general statement about the laptop's everyday performance. The competitive performance of the low-priced EliteBook 745 G2 is particularly surprising here. 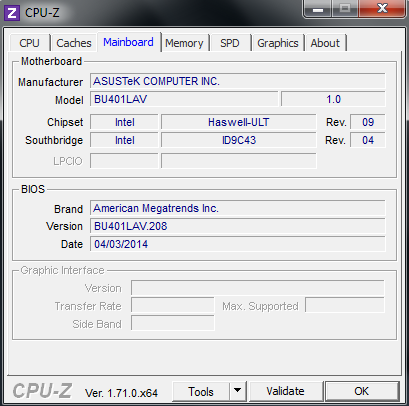 The SSD is apparently compensated for with the strong OpenCL performance of AMD's APU. To what extent that pays off in practice will, however, strongly depend on the used software. Our subjective experiences with the BU401LA were throughout positive, which is particularly owed to the highly responsive SSD besides the fast processor. No matter whether booting or loading, installations or multitasking - hardly a buyer will complain about lack of power. Users who only use the laptop for basic office tasks will not fully exhaust the existing reserves anyway. Although the HD Graphics 5000 has roughly twice the computing power of the HD 4400 or HD 4600 on paper, the performance plus is considerably lower in practice. One reason is the limited memory bandwidth that is still a performance-devouring bottleneck even as a DDR3-1600 in dual-channel array (25.6 GB/s). Another is that the low TDP prevents fully exhausting the available Turbo Boost headroom - a much higher GPU clock speed than approximately 500 - 600 MHz is not possible during permanent 3D load. Consequently, the HD 5000 has to even let dedicated entry-level accelerators like Nvidia's GeForce 820M pass, and it is also defeated by comparable Kaveri APUs from AMD. Apart from demanding graphics software, the GPU copes with all everyday tasks and can even render 4K videos (H.264 codec) smoothly. To make things short: Current games from 2014/2015 are simply too much for the HD Graphics 5000. 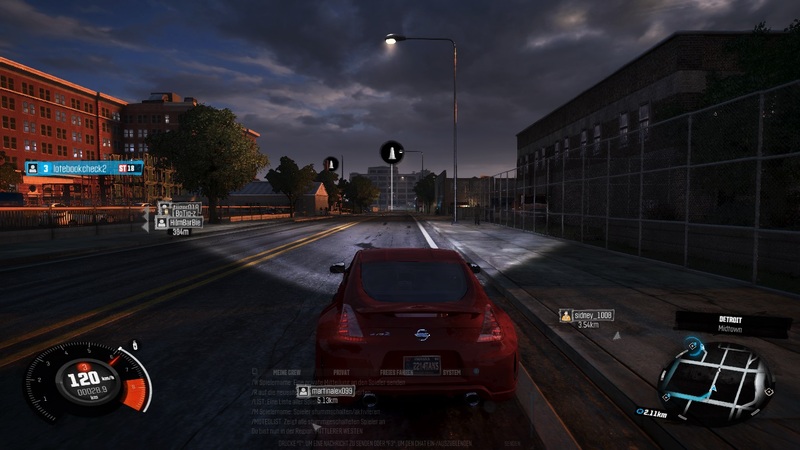 Except for a very few titles, such as Sims 4 or F1 2014 where the graphics quality can be reduced far enough, even our ultra-low setting in 1024x768 pixels stuttered along dismally. Gaming fun hardly arises - but that is still an acceptable drawback for an office laptop in our opinion. 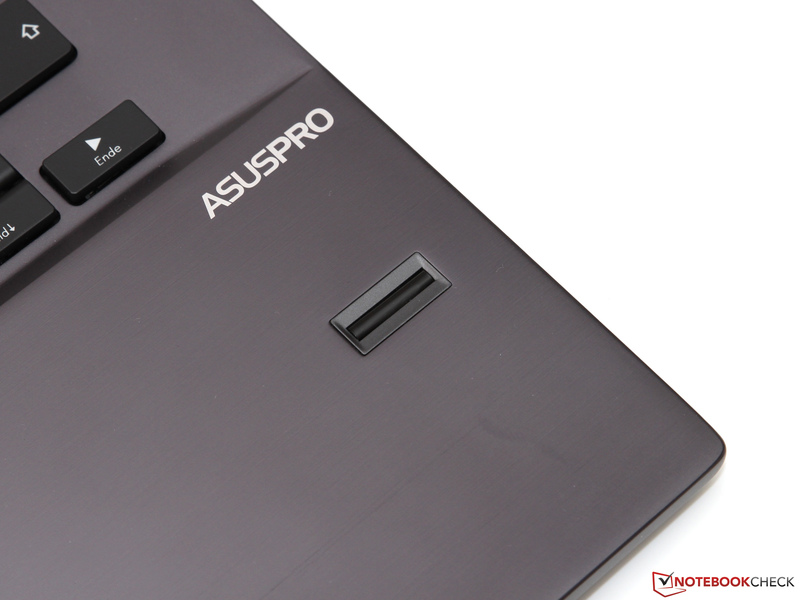 The AsusPro proved to be an extremely quiet, usually completely silent work device in common office applications. The two fans were normally inactive during low hardware load, and there is no humming caused by a mechanical hard drive owing to the installed SSD. However, most contenders score equally well here. 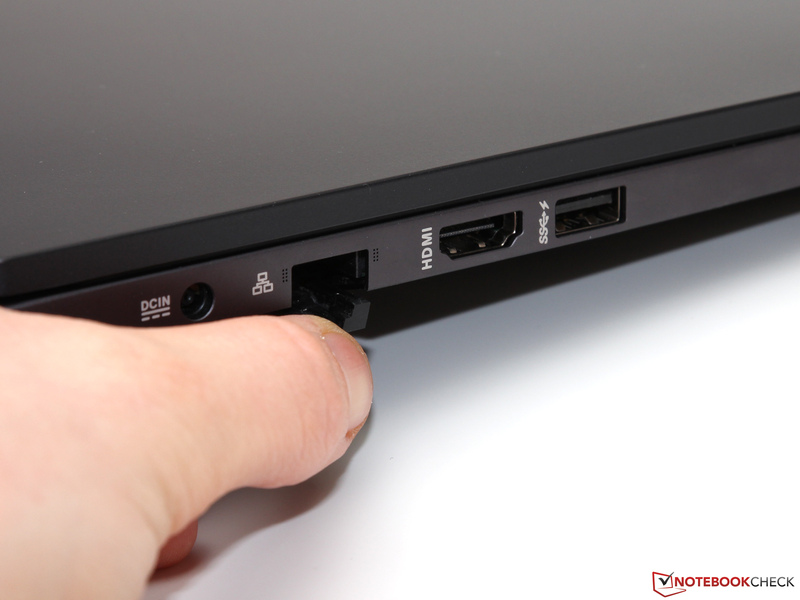 We solely complained about the fan's intermittent high speed in the ThinkPad L440. 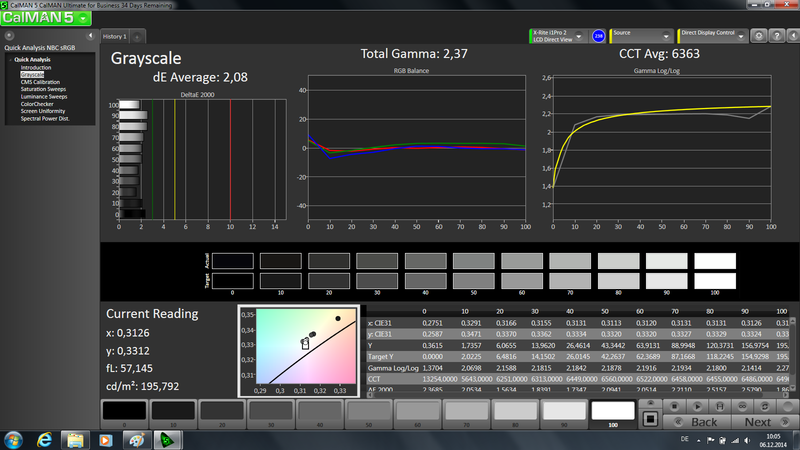 The noise level increased a bit during load, though it was never distracting with 33.1 to 37.3 dB(A). 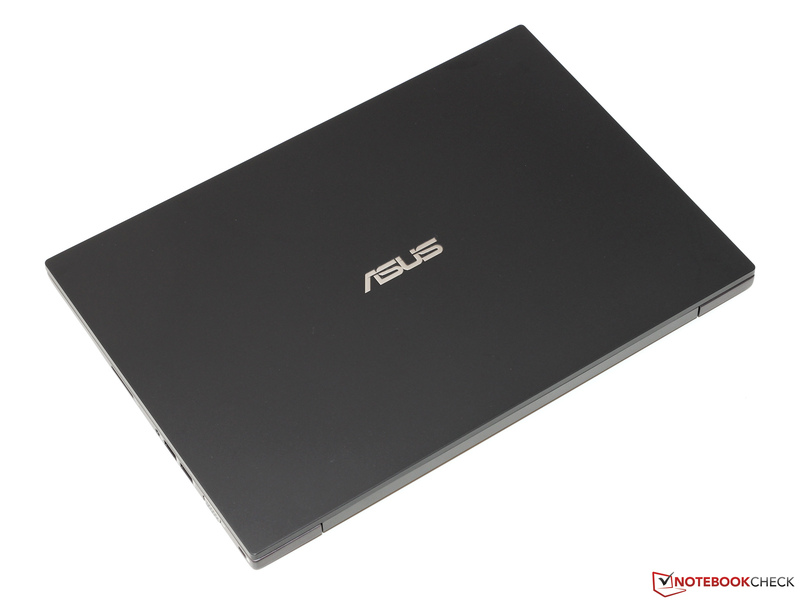 Apparently, Asus has done a good job with the cooling's relatively sophisticated design that can be found in a similar form in some of the manufacturer's consumer laptops - that is if the temperature development is also convincing. It does convince: Depending on the load, the casing's temperature reached an average of 30 to 33 °C. Single hot spots with evidently higher rates were only discovered close to the rear, around the vents. However, we did not measure more than 40 °C even in this area so that the BU401LA can be used on the lap without problems. The processor inside the casing settled to approximately 65 °C in our stress test, comprised of Prime95 and FurMark. Short peaks of up to 75 °C were also possible when the TDP was temporarily surpassed. Since Intel specifies a maximum core temperature of 100 °C for the Core i7-4650U, there are enough reserves for the next midsummer. 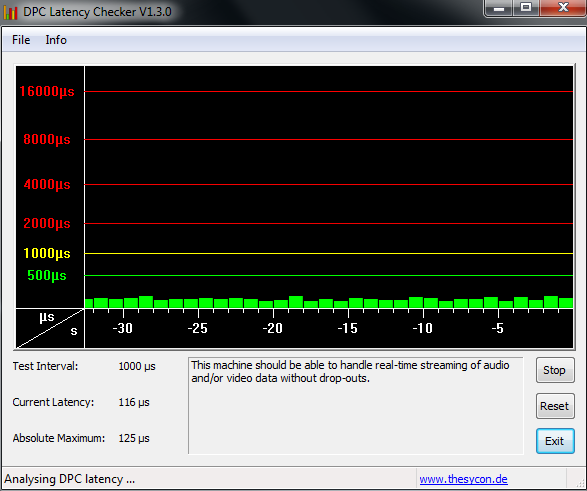 Nevertheless, the chip is not spared from throttling. 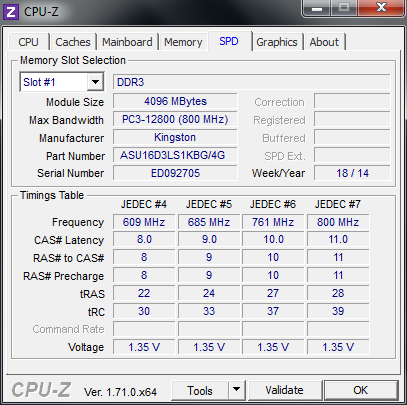 The CPU's clock dropped to only 800 MHz after a while in order to not (permanently) exceed the power dissipation specified with 15 watts. 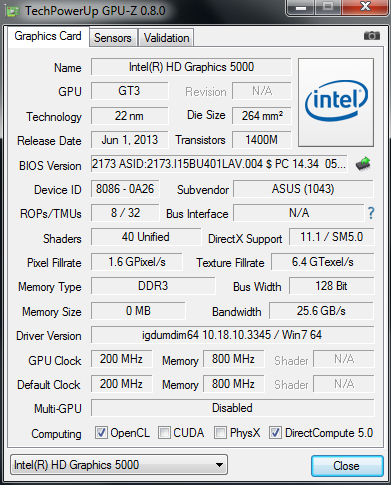 The GPU ran with a frequency of 400 MHz. Many office laptops disappoint with very poor speakers that are barely suitable for more than rendering system sounds adequately. Not so the AsusPro: Clear trebles, powerful mids, and even audible bass make music and videos enjoyable. Alongside the impressive volume reserves, medium-sized rooms can be filled with sound satisfactorily. In any case, external speakers will often not be needed at least in smaller group meetings. 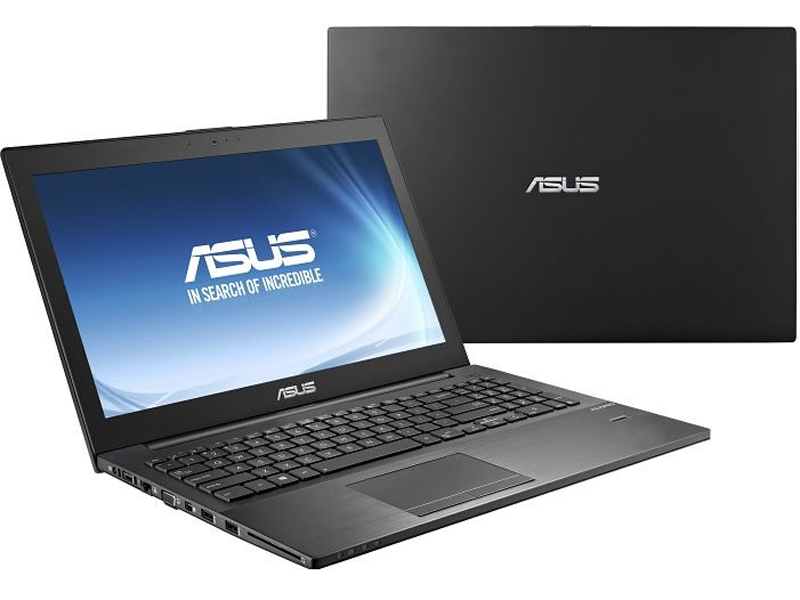 Asus was able to reduce the idle consumption considerably compared with the precursor by changing from Ivy Bridge to the newer Haswell generation. 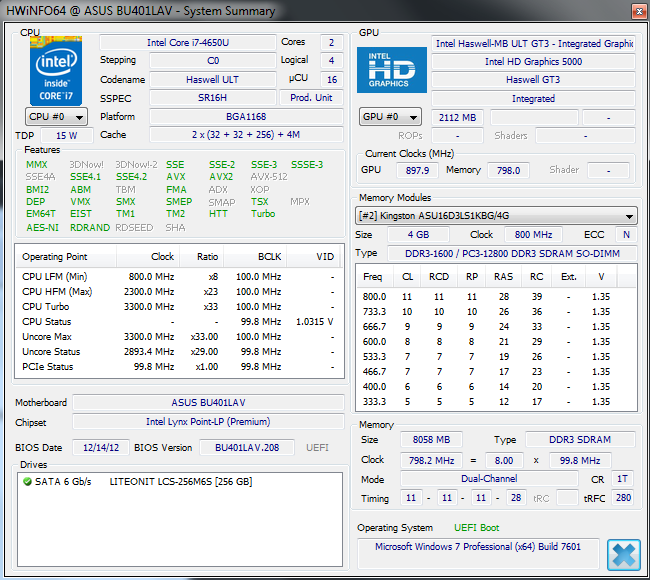 Rather than 6.5 to 9.3 watts (AsusPro BU400VC), the BU401LA now only requires 4.1 to 7.3 watts when Windows desktop is idling. However, the laptop's relatively dark screen, which is the biggest idle consumer by far, also contributes to that. The power consumption skyrocketed to 43 watts at the beginning of our stress test, only to drop to just below 30 watts after a few seconds. Virtually all modern ultrabooks behave this way because the processor automatically adjusts its (Turbo) clock rate according to the specified TDP. 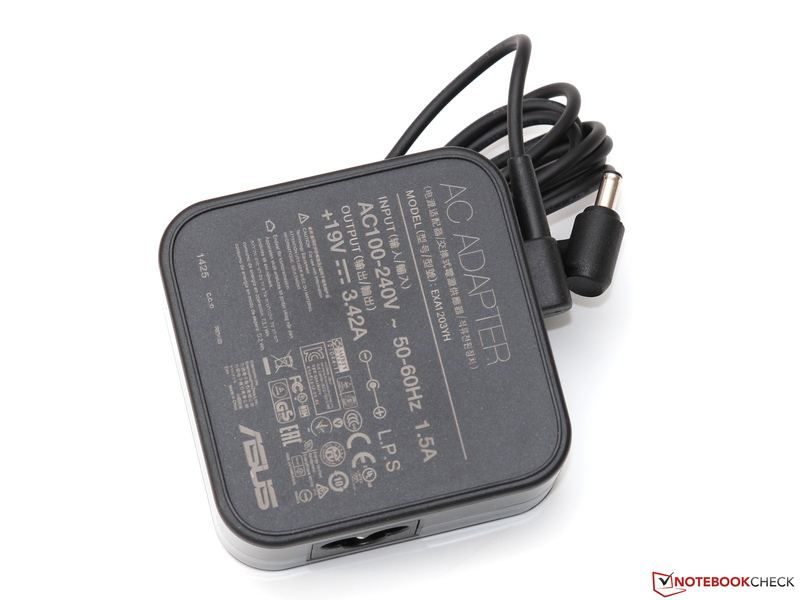 The included 65-watt power supply has enough capacity to recharge the battery even during full load. The 53 Wh battery hidden in the casing, but which can be replaced after removing a few screws, supplies the BU401 with solid runtimes. Depending on the screen's brightness, energy-saving plan, and whether the radio modules are on or off, the laptop ran for 2 to 11.5 hours on battery power. We could not perform our real-world Wi-Fi tests and H.264 tests with the usual 150 cd/m² due to the defect brightness control mentioned above. Thus, we had to run the screen with its maximum brightness of 209 cd/m². The ascertained runtime of roughly 5 hours should therefore be regarded with some caution - almost 6 hours will likely be possible with a device in good working order. 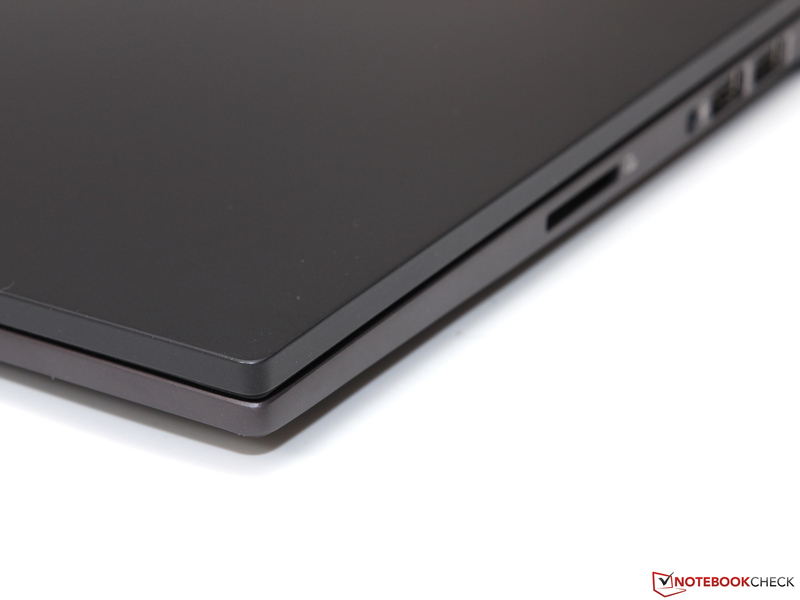 Our review sample would then be exactly between the ThinkPad L440 and Latitude E5450. 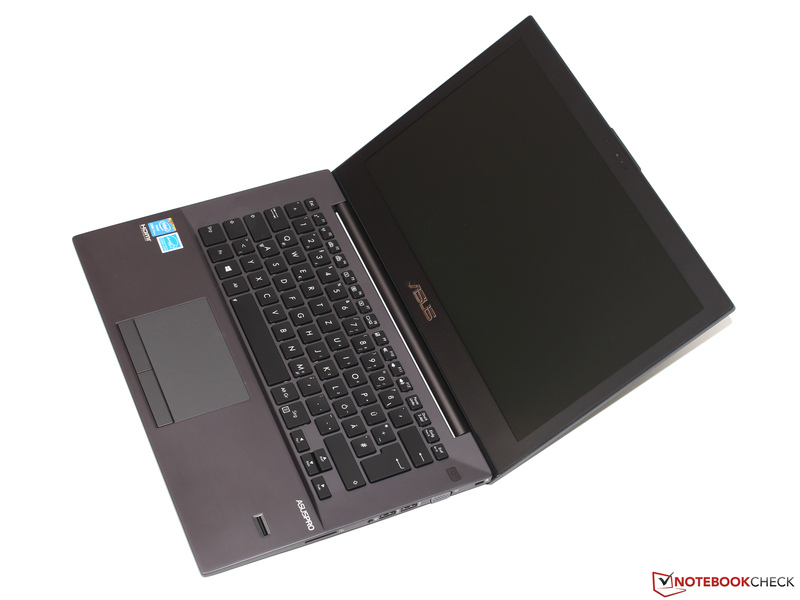 The AsusPro Advanced BU401LA seamlessly connects to the positive presentation of the BU201LA, and again it proves that not only well-known business manufacturers like HP, Dell or Lenovo can develop convincing professional machines. Despite the Core i7 processor, SSD and other highlights, the laptop undercuts the prices of many contenders without forcing the user to make quality compromises. 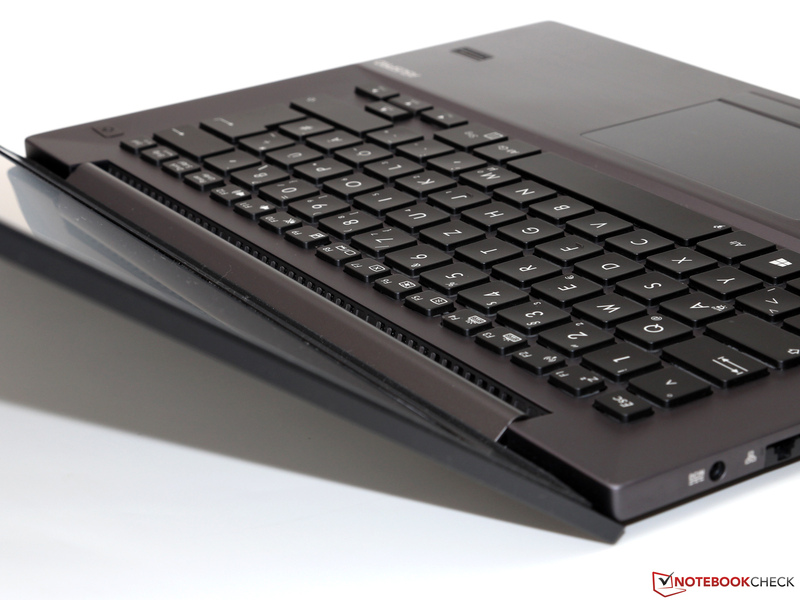 The casing is both light and extremely rigid, and the input devices belong to the best of their category. The low noise and temperature development round off the balanced total package. However, before we completely lose ourselves in songs of praise, we also have to point out the ultrabook's shortcomings. Some might be negligible: no DisplayPort, a highly mediocre webcam, the axed TrackPoint - all that is aggravating, but they are not make or break criteria for us. The worthy of improvement screen with a low brightness that makes outdoor use very difficult is much worse. Too bad that Asus saved particularly in this point after the smaller sister model could score with an outstanding Full HD IPS screen. Nevertheless, the AsusPro BU401LA will find its target group, especially among price-conscious buyers who will preferably use their device indoors. 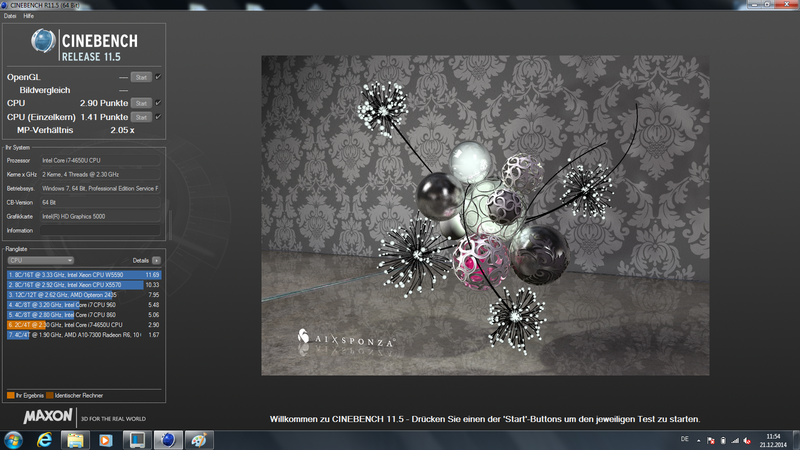 ...since the laptop convinces with other qualities. ...and a Gbit LAN socket, among other things. Various security features like a fingerprint reader should not be left out, either. ...but also with the practical LED backlight. ...but the generously sized touchpad serves well. A swift Core i7 processor ensures plenty of power. ...the corresponding Torx screwdriver will be needed. The base plate is then easy to remove. ...and an SSD in a 2.5-inch format are found. Both speakers render an amazingly powerful sound for an office laptop. ...easily covers the low power requirement. 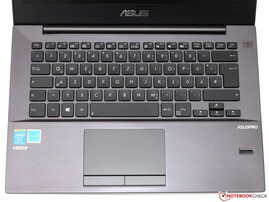 The quality level is right, and the price (at least for business standards) is very attractive - Asus should be able to convince quite a few buyers with this strategy. The installed HD+ screen achieves decent contrasts and a very high viewing-angle stability for a TN screen. 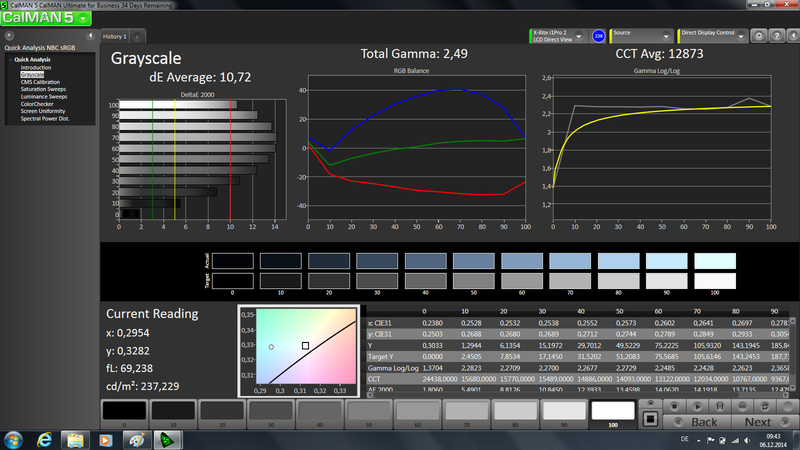 Only the far too low maximum brightness is simply unacceptable for a mobile office machine. Why does the manufacturer only treat its 12-inch models of the product line to a sharp Full HD screen? We would have wished for an even higher resolution also for the BU401LA, at least as an option.